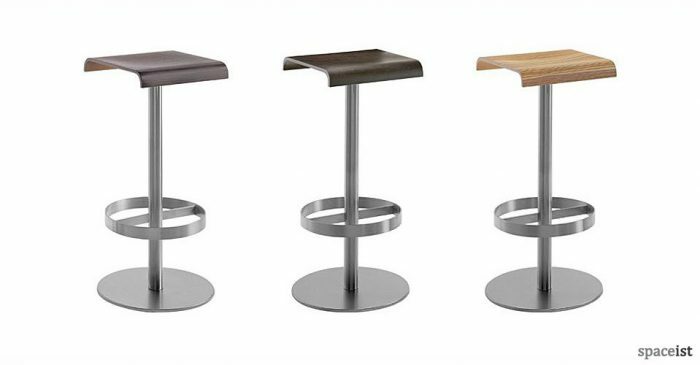 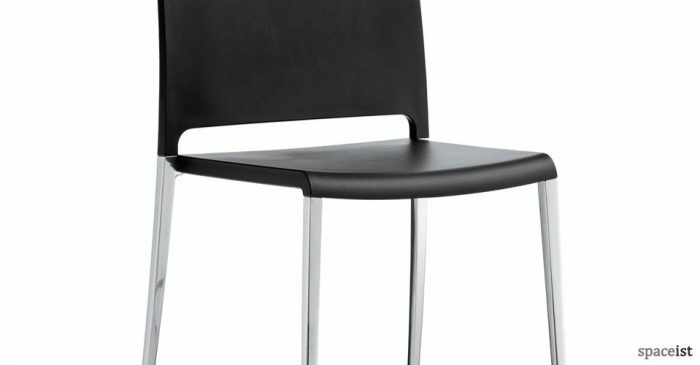 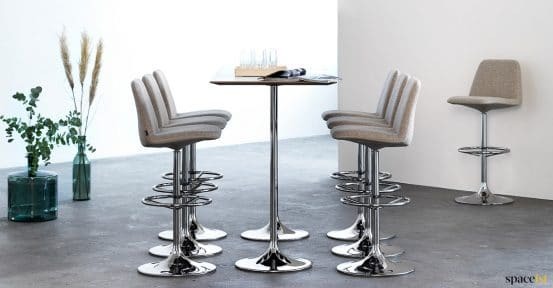 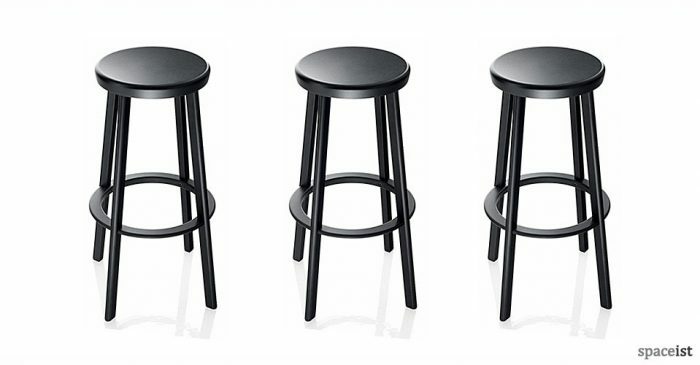 Categories: Bar stools, Cafe furniture, Staff bar stools, Upholstered bar stools. 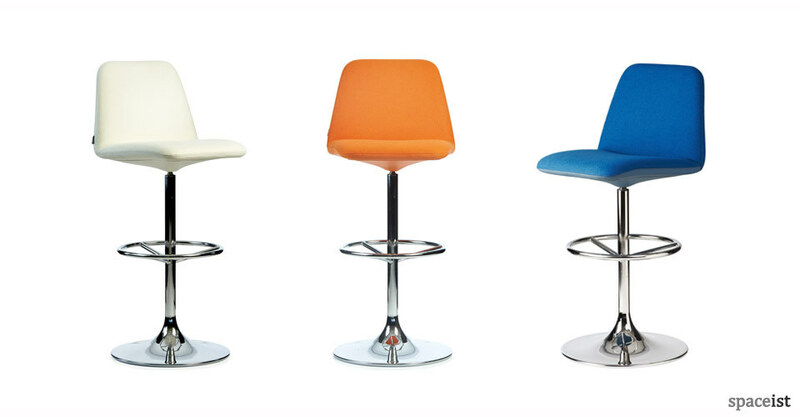 Retro bar stool in red, green, orange, black, purple + many more fabric and vinyl colours. 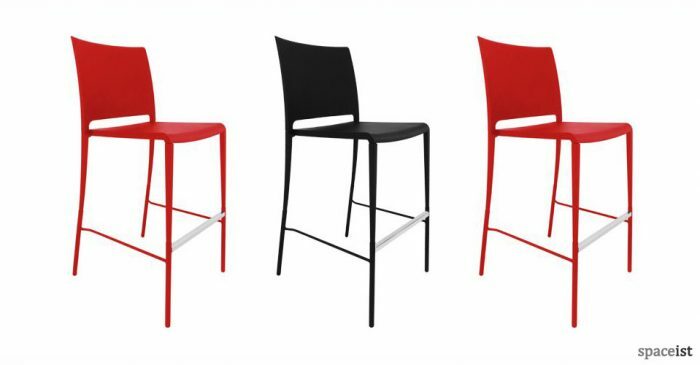 Base comes in chrome, white or black.